You wake up in a dark cave with no memory of who you are, where you came from or why you're in such a place. Uncovering Mimiga Village you discover that the once-carefree Mimigas are in danger at the hands of a maniacal scientist. The Mimigas’ only hope rest squarely on the shoulders of a quiet, amnesiac boy who can't remember his own name. Run, jump, shoot, fly and explore your way through a massive action-adventure reminiscent of classic 8- and 16-bit games. Take control and learn the origins of this world’s power, stop the delusional villain and save the Mimiga! All in all, Cave Story+ is an excellent port and it feels right at home on the Nintendo Switch. I know people go on and on about how cool it is to bring the console experience on the go, but it also works really well with smaller titles too. Playing Cave Story on Switch is my preferred way to relive this classic indie gem and I’m ready to start another play through as soon as I can. 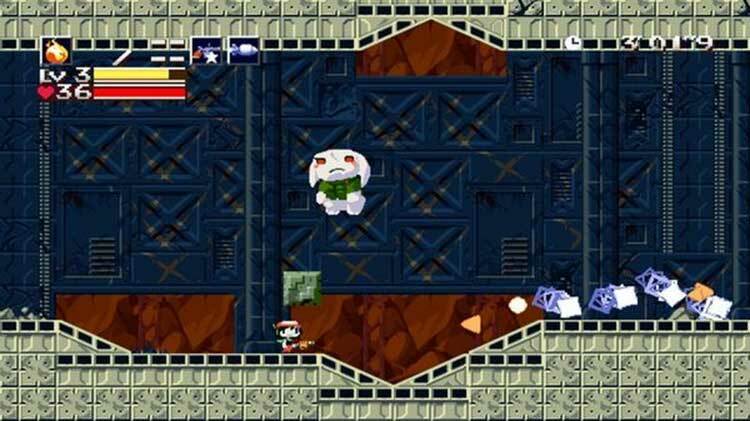 Cave Story + is a retro platformer with everything going for it – fun story, great visuals and audio, upgradeable weapons, killer bunnies. 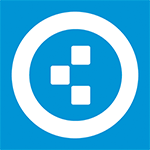 Seriously, check this one out. 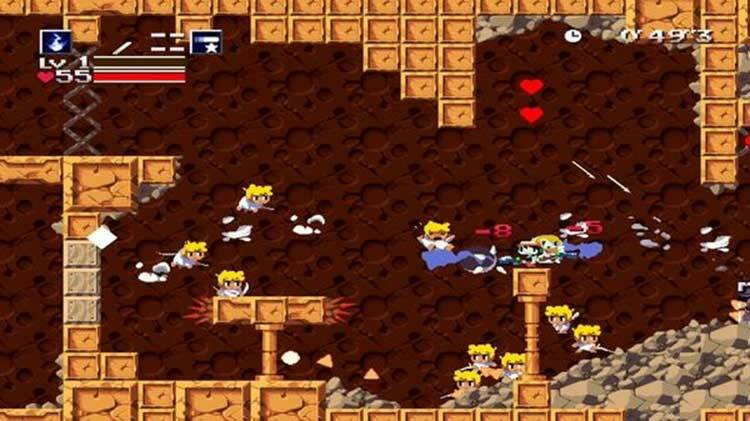 Cave Story+ isn’t the definitive version of Cave Story—I think that crown still belongs to the WiiWare version, but then again, that version isn’t portable. I do miss the ability to switch graphical styles, but it’s really the only regrettable absentee. 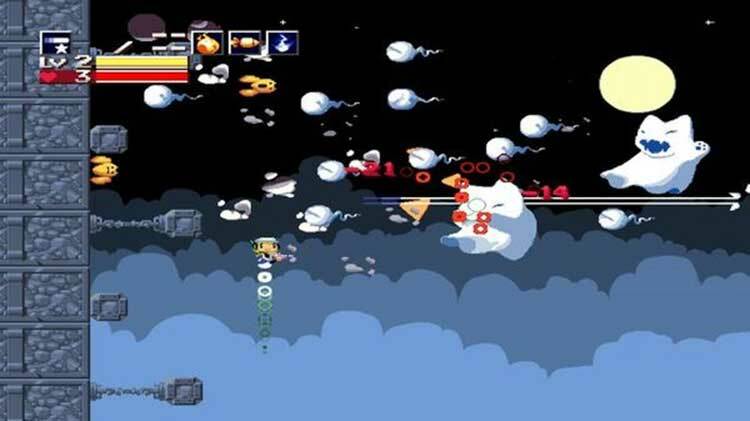 For a game that was made by one person way back in 2004, Cave Story+ still remains highly enjoyable to play today thanks to fluent controls and a deft build up in challenge. The original heartfelt story and characters are a bonus that gives the atmosphere a personal feel to the setting that still endures today, which the likes of Undertale took inspiration from. A few added modes that are not terribly substantial, like the option to play as Curly Brace or the time trail modes, are welcomed, but do not add much to this indie classic. The tweaks done to this game do make it the preferred way to play it, and since the Switch version can be played on the go or on the big screen, this does come highly recommended to newcomers and even to veterans. 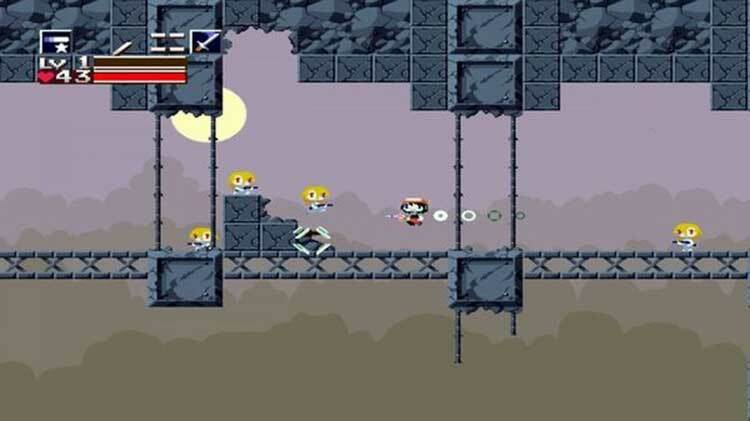 It's almost incredible how well Cave Story has managed to stand the test of time. It isn't a particularly old title, but its limited resources and one-man development team seem like a recipe for a dated entry. Instead, it manages to justify its existence in any given generation with each re-release. 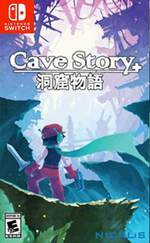 Cave Story+ é o exemplo perfeito de que um jogo não necessita de uma equipa imensa e de milhões de euros/dólares para ser excelente. Basta um criador e muita paixão que se pode fazer algo intemporal e imortal. 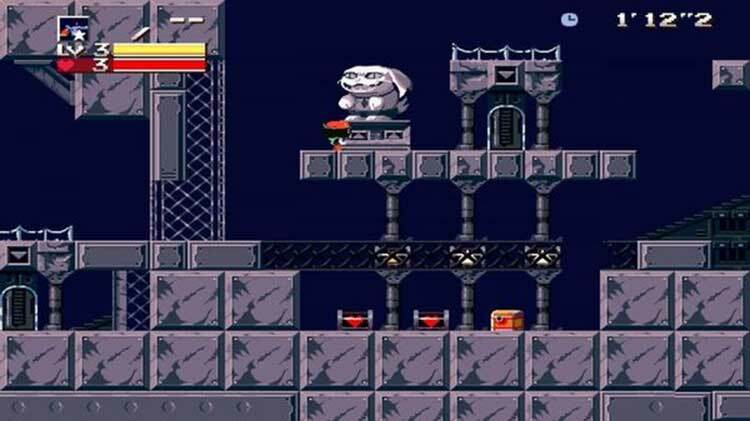 Quem nunca jogou Cave Story deve sem dúvida dar-lhe uma hipótese, quem já jogou também não deve desprezar a hipótese de o tornar a fazer, nem que seja pelo facto de o poder fazer em modo portátil ou na TV, já que em ambos os casos este jogo não perde o seu encanto. Nee, een game die al zo lang meegaat, had voor een paar tientjes aangeboden moeten worden. 15 euro was een mooi bedrag geweest. Laten we zeggen dat 20 euro nog acceptabel was geweest. 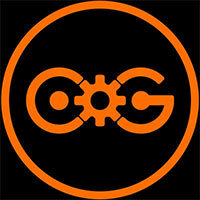 Het is zonde, omdat de game verrassend leuk en verslavend is om te spelen. En gelijktijdig weet je dat veel mensen die schoonheid van zo’n indie op de Switch niet gaan ontdekken door een te hoog prijskaartje. Eeuwig zonde.